When it comes to advertising your business at a large event, it’s important to display your logo everywhere and anywhere you can. 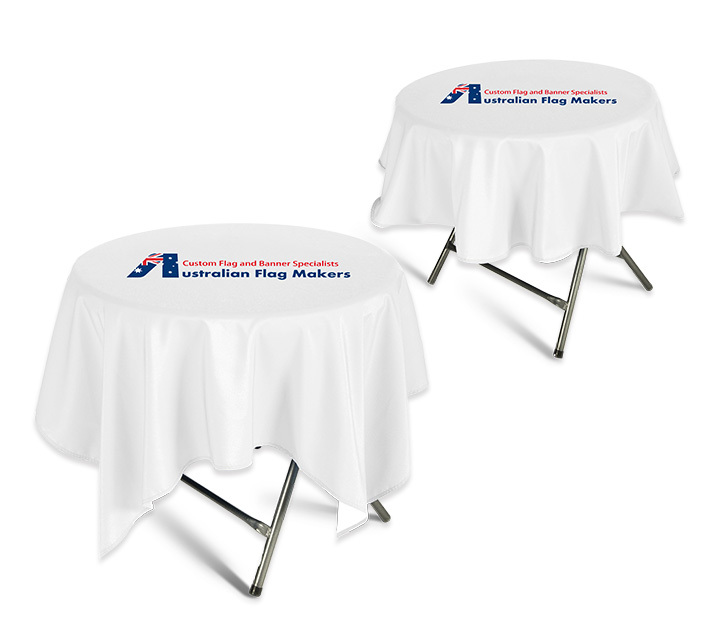 There’s no better way to do that than with custom table covers. Whether you’re indoors or out, eye-catching table covers will make sure you get noticed. 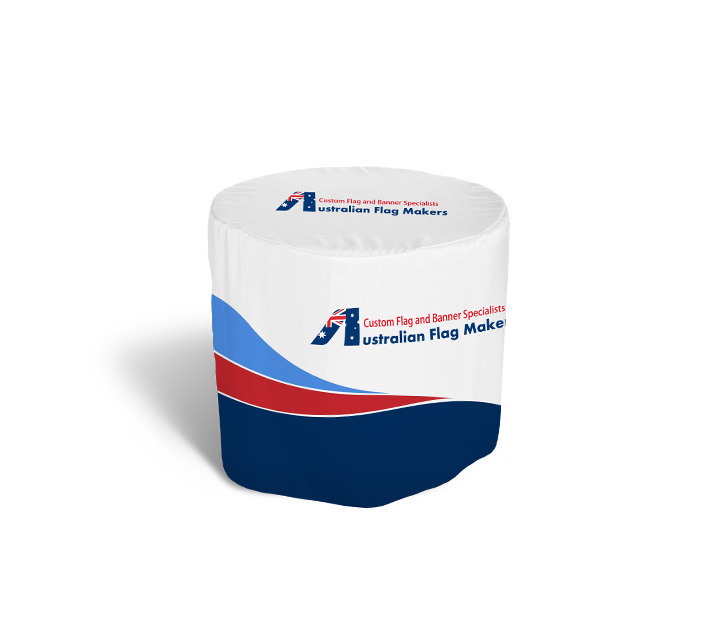 Each table cover is custom created with crisp, clear graphics that are completely unique to your business. No two table covers are alike. 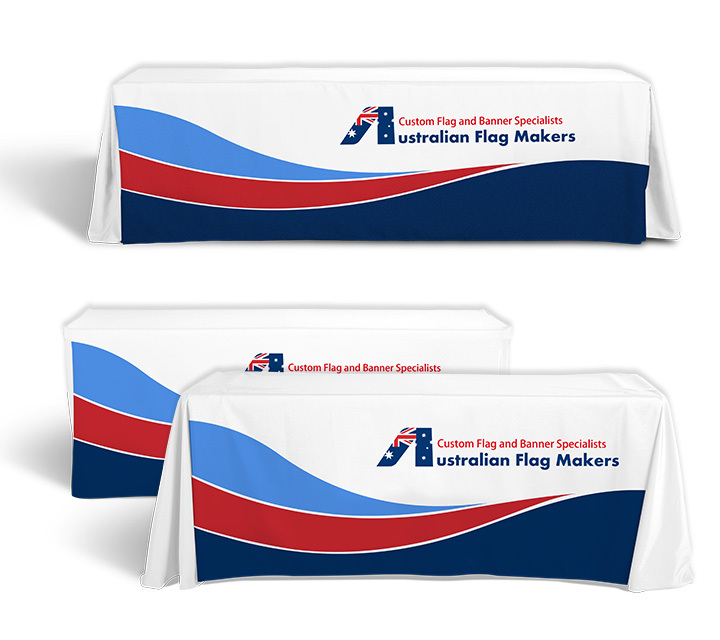 Different table covers offer different display effects, which is why Australian Flag Makers offers a wide range of table covers that include standard, fitted, and stretch table covers. All of our covers are made to fit the table you have. 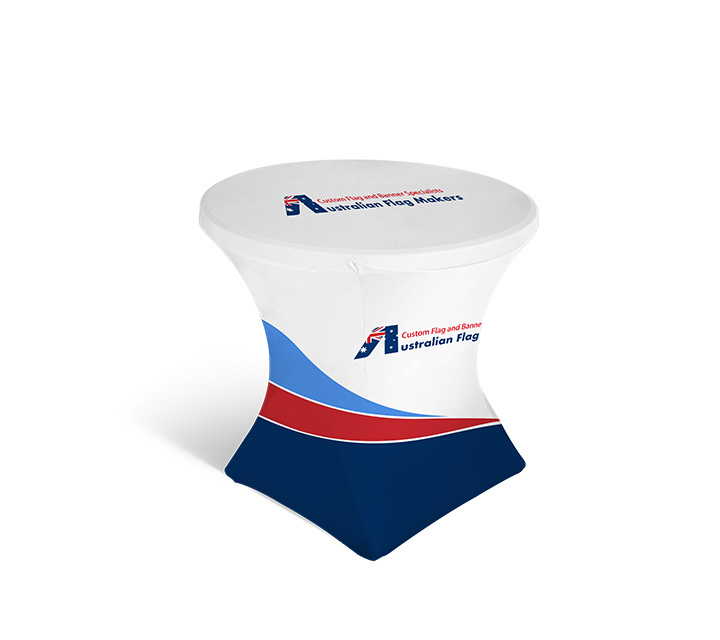 Standard displays come in six foot and eight foot sizes, but we’re also able to customize a table cover to fit nearly any size table that you might have. 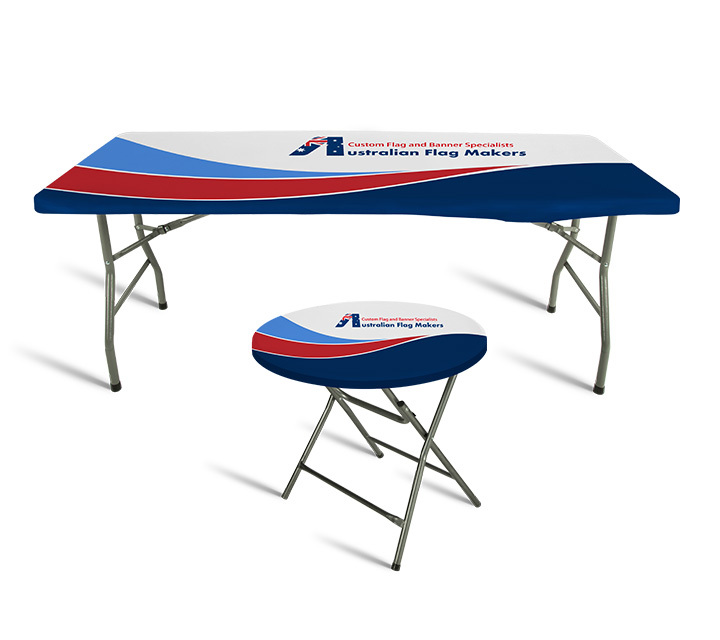 We even have adjustable covers that can be used on both six foot and eight foot tables! The quality of the table covers we have to offer is extremely important to us. We want to make sure your cover lasts for a long time. That’s why most of our table covers are created out of 300D polyester and elastic polyester that are both durable and environmentally friendly. Want to get noticed at the next big event? 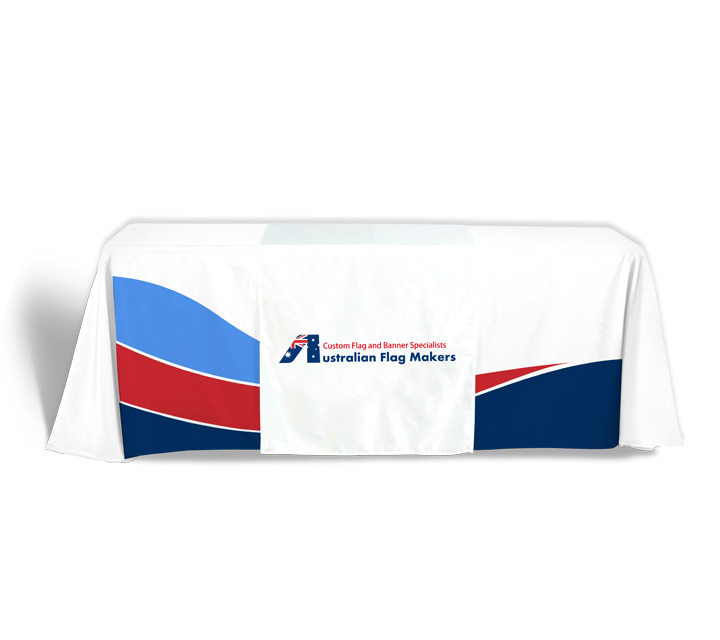 Contact us today and allow us to create a custom table cover just for you! 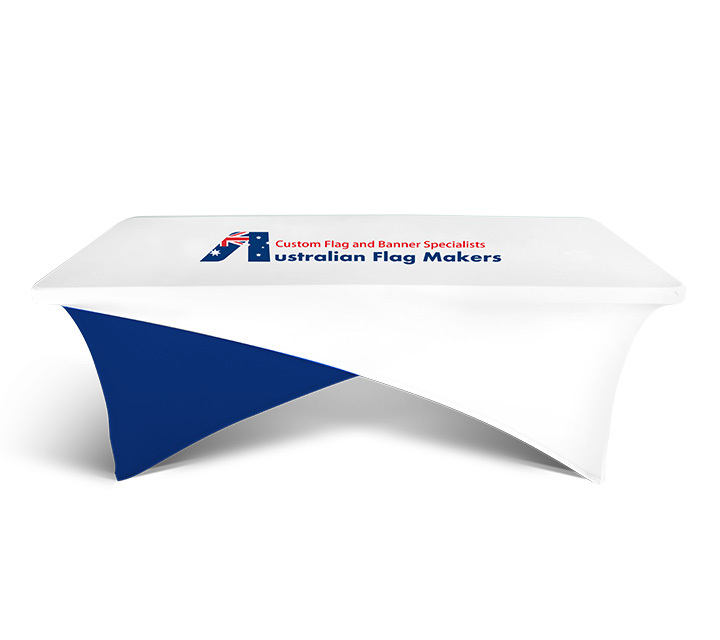 Are you looking for plain coloured table covers with no print? Click here for prices. 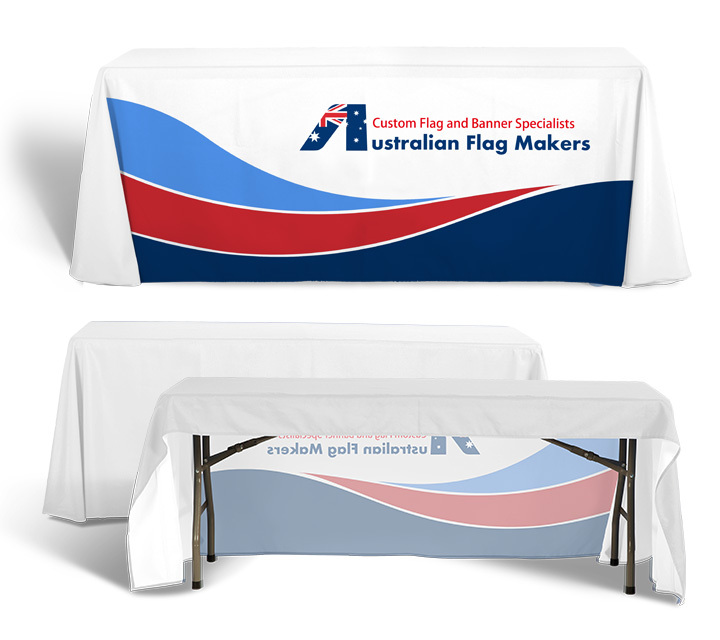 A custom table throw let’s you professionally take care of one of the recurring problems in trade shows and conventions; that of sloppy or amateur appearing table covers. 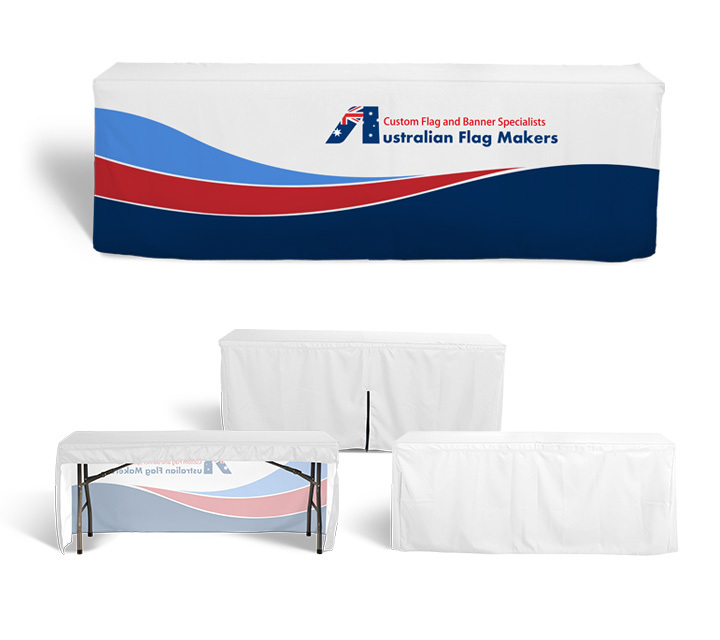 Each trade show table throw is designed to fit smoothly and attractively. A custom table throw is the best solution for a ugly problem. 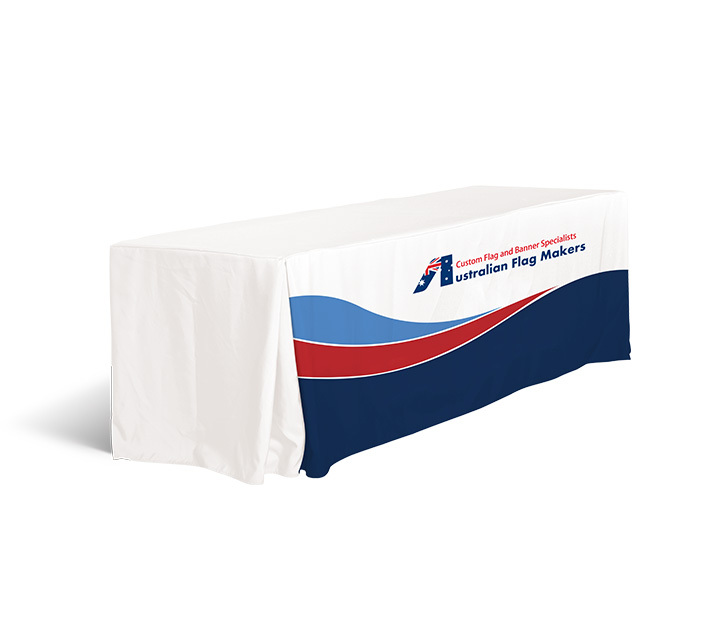 If you’re looking for a professional look, it doesn’t get any better than fitted table covers. 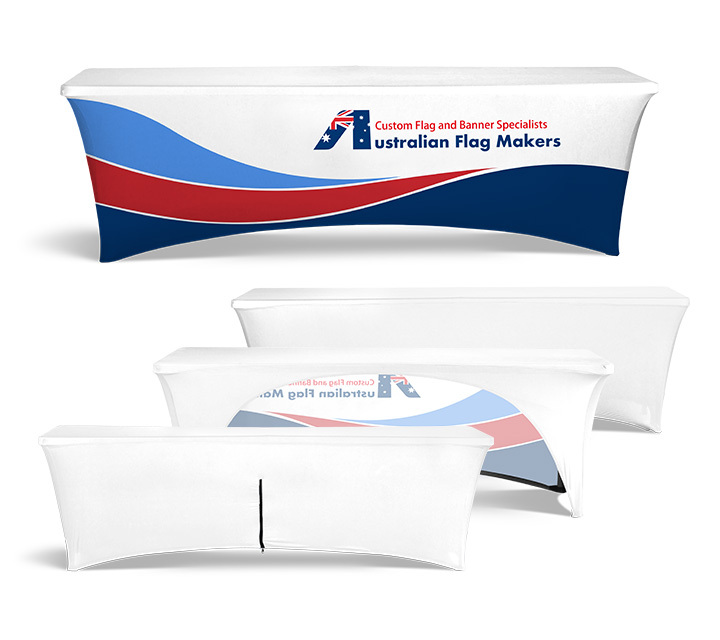 Instead of hanging loosely, the fitted table covers from Australian Flag Makers provide a finished look that’s sure to get noticed. Custom tablecloths are a great way to get noticed, but they can be kind of a pain. From folding and storing them to adjusting the cover and making sure it doesn’t blow away in the wind, they can be more trouble than they’re worth.